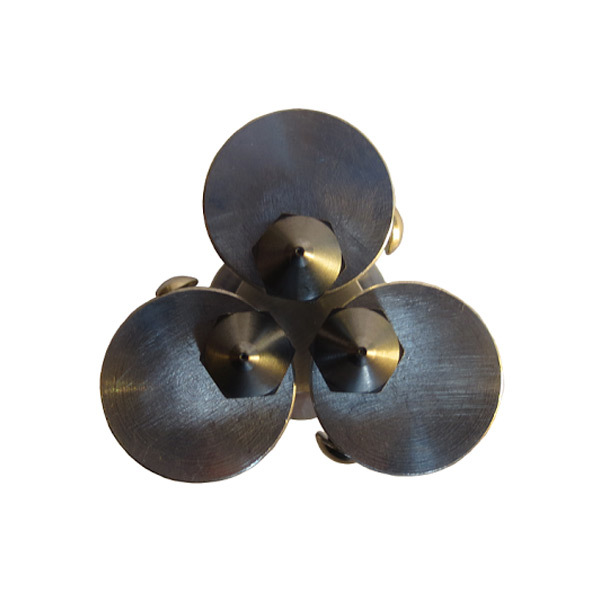 The PolyStroooder Tri Hotend is three separate hotends all rolled into one! 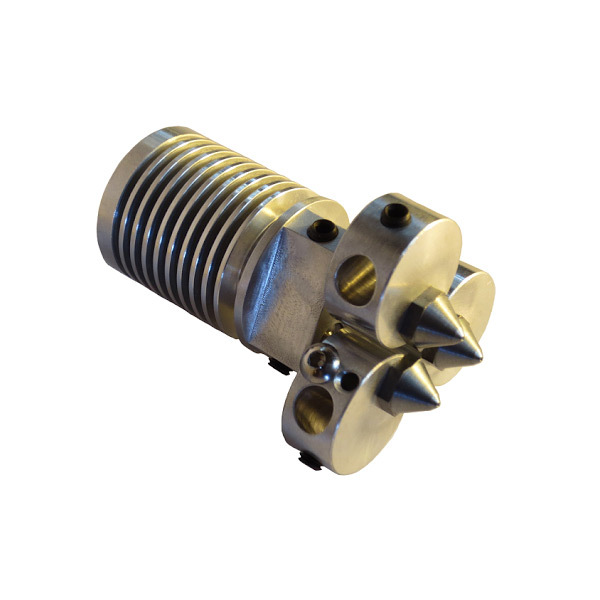 This three nozzled all-metal bowden hotend is capable of printing materials that melt under 300 degrees Celsius, including nylon and polycarbonate. Explore new technologies that are only available with the Tri Hotend, like a Titanium alloy thermal isolator, as well as Tungsten Disulphide, which is used in certain areas of the hotend to prevent blockage. ABS, PLA, Nylon, Polycarbonate, PVA, and anything else that melts under 300 degrees Celsius can be printed. It uses standard 1.75mm filament, which is fed into each of the three nozzles by a PTFE bowden tube for the lowest possible friction. 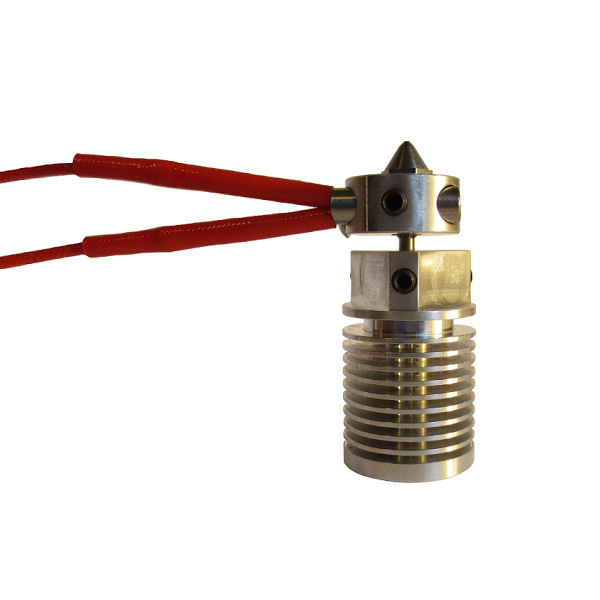 The Tri hotend includes several patent pending new technologies, such as a Titanium alloy thermal isolator for 250% better thermal performance compared to regular stainless steel. 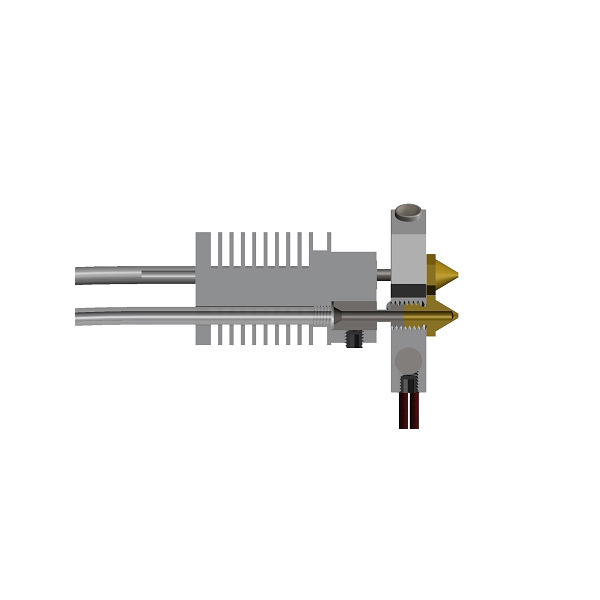 This hotend also uses Tungsten Disulphide (WS2) in critical areas to prevent jams, which are a major concern when printing with PLA. The print quality is greatly increased because of these features.